NN Investment Partners (NN IP) has launched a short-duration green bond fund, NN IP announced on April 1. 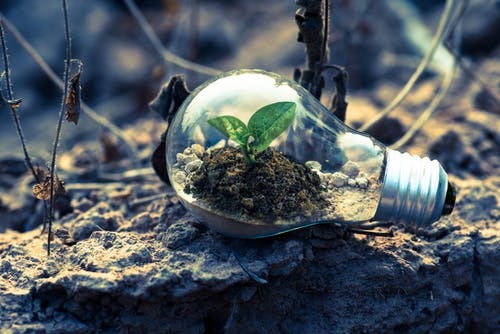 This fund will be available across a range of markets and will add to NN IP’s existing green bonds range by applying the same strategy as the firm’s NN (L) Green Bond fund but with a shorter duration of two years. The fund’s shorter duration means it might be suited to investors who want to protect their portfolio against rising interest rates and at the same time continue to act urgently on climate change. Green bonds are bond instruments where the proceeds will be applied to financing new or existing projects that have a measurable positive impact on the environment, such as contributing to the United Nations’ Sustainable Development Goals (SDGs). The firm said it believes that green bond investment is particularly enticing in the current market environment. Interest rates in Europe are close to their lowest levels over the past five years and spreads on euro green bonds are relatively high compared to the average over the past five years. “For investors who want to prioritize sustainability, impact investing (including green bond investing) is the ultimate choice in responsible investment. It identifies not only qualitative but also quantitative proof that the investments contribute to global welfare. Additionally, investors face no additional costs when investing in green bonds. In fact, allocation to green bonds enables investors to reduce the carbon footprint of their fixed income portfolios and enjoy better governance and greater transparency, without sacrificing liquidity and returns,” says Bram Bos, lead portfolio manager green bonds at NN Investment Partners. NN IP is the largest market participant in terms of open-ended green bond funds and is close to reaching the €1 billion (US$1.12 billion) mark after less than three years. The firm said its existing NN (L) Green Bond Fund is ranked in the top decile among its peer group, and since inception, has achieved an annualised outperformance against the benchmark by 0.6% (2.32% for our Green Bond fund, versus 1.65% for the benchmark, as of February 2019). The CO2 emissions saved per €1 million invested are equivalent to the average annual emissions of 235 passenger cars, while the renewable energy capacity added is equivalent to 63 wind turbines. NN (L) Green Bond and NN (L) Green Bond Short Duration are sub-funds of NN (L) (SICAV), established in Luxembourg.